Where Do Children Learn Racism? No one is born with prejudices. Though we may sometimes argue about nurture versus nature, I don’t think anyone has ever suggested that racism is somehow wired into our genetic make-up. Prejudice is something we learn from the people who teach us how to be human. On the other hand, whenever the subject of race arose, she said, “Colored people”—the term her generation used for African-Americans—“are just the same as you and me.” I remember hearing those words often when I started first grade in a town that had integrated schools shortly after the Brown decision. I was the first of Mom’s children to have an African-American teacher when I was in second grade, and she made clear that she believed all children had the right to a good education from good teachers, no matter what color their skin. When I was a teenager, I heard Mom say for the first time that she didn’t believe in marriage between races. But when as an adult I became best friends with a biracial couple, she changed her mind, entirely willing to admit that there was no logical reason that two people who love each other shouldn’t be together. In fact, when one of my cousins quietly admitted to my mom that he was gay, she readjusted her views on marriage even more and became one of the first in my extended family to assure my cousin that he had the right to love whomever he wanted. As a result of watching her and listening to her, I learned to be far more tolerant on matters of race and sexual orientation than I am of those whose religion I consider oppressive. Though I’m eternally grateful that Mom opened the door to my freedom from the faith that suffocated her as a child, I have to work at being tolerant of people I meet who espouse the religious views she railed against. 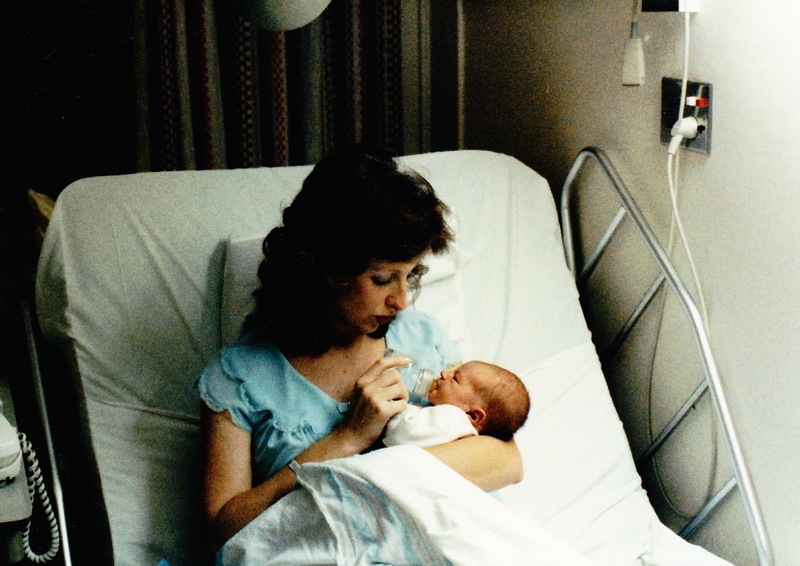 My mother died a little more than a year ago, and as all children do when they suffer the loss of a parent, I have reflected for the past year on the gifts my mother gave me. And the soft glow of my love for her has shone a light on the hard darkness of many of the events of the past year. Though I have many questions about how we as a nation can overcome the legacy of slavery that our ancestors left to us, I am absolutely certain of one thing: Until we find a way to reshape what our children are hearing about race, we will not find a path out of the quicksand of racial animosity. Next spring will mark the 150th anniversary of the end of the Civil War. We cannot afford to wait. Our children cannot afford for us to wait. As a white American, I’d like to believe that most people are not teaching their children in the privacy of their homes that black lives don’t matter. But when I look at the comments posted on articles about issues involving race, I must face the fact that many parents are still teaching their children to hate. We cannot control what such people say in private to their children. We can only hope that an education can overcome what their children hear at home. But we can and should control comments on media sites, which is why most sites require posters to sign an agreement to abide by policies to avoid abusive and hateful comments. Credible media outlets can and do moderate such commentary. In fact, I have been on some sites that warn people who post such comments and then block them from commenting if they continue to violate the sites’ policies of decency and civility. What can I, as one individual do? I can’t keep these people from teaching hate in the privacy of their homes. But I can speak out against such hate in public discourse. And we can demand that sites like Fox Nation abide by their own policies and moderate bigoted and hateful speech. I value freedom of speech. But I had a history teacher once who said, “Your freedoms stop at the next man’s nose.” We can allow people to say what they want, but we can also create a culture that doesn’t offer endless forums to spit venom anonymously at others with no fear of impunity. We can create a culture where it’s more acceptable to engage in civil discourse than it is to spew vitriol. I want our children to learn from their parents, as I learned from my mother, to value all human beings. But in the absence of that, I’ll settle for a culture that demands it for them. Please share this post if you agree. Let’s demand change in our social dialogue. I see these comments too and I sometimes wonder just what kind of home life they have had that allowed them to think these kinds of comments are acceptable. I think websites that allow these hateful comments are one reason that the divide in this country seems so much wider now than it did in years past. I hope you don’t mind if I sometimes share your blog on my FB page. Thanks.